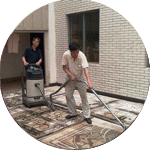 Our company provides high quality Persian rug cleaning services in Kuala Lumpur, Selangor and other locations in Malaysia. Persian rugs add an aesthetic touch into any house. 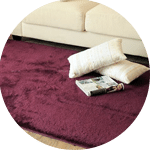 There is a key difference between an area rug and a Persian rug – an areas rug is hand knotted or handmade, and often used to cover partial floor covering with the floor or wall-to-wall. Whereas a Persian rug also famously known as the Iranian Carpet, has a heavy textile material that carries a symbolic significance due toit’s artwork and patterns – often used for home, office, local market or export. Using a deep extraction technology, it absorbs any debris, bacteria & stains on the rug leaving it brand new. 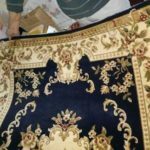 Our technicians are professionally trained to handle rugs from silk to wool, ensuring our customers satisfaction as out top priority. 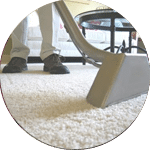 Our carpet cleaning company offers services around Malaysia states and region. These areas includes Kuala Lumpur, Selangor, Melaka, Ipoh, Johor, Penang & Pahang. If you have any enquiries regarding your carpet/ rug solution, do not hesitate to contact us for an onsite visit. 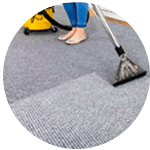 Our customer service team will reply to your request within a few working hours to find out more and discuss further about the Persian rug cleaning service that you require. Subsequently, we will issue you a quotation and an invoice for the Persian rug cleaning service. Our Persian rug cleaning service is available in Peninsula Malaysia from Kuala Lumpur, Selangor, Ipoh, Johor, Malacca and Penang. Speak to our team to enquire more about the Persian rug cleaning service that we provide in your area. I have a special request for my Persian rug cleaning service, can this be done? 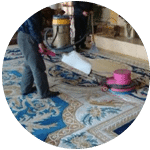 We understand that sometimes our customer have special requests for Persian rug cleaning service with regards to timing and other matters such as stain removal. In this scenario, you can contact our customer representative team at 017-232-6491 to discuss your Persian rug cleaning request.